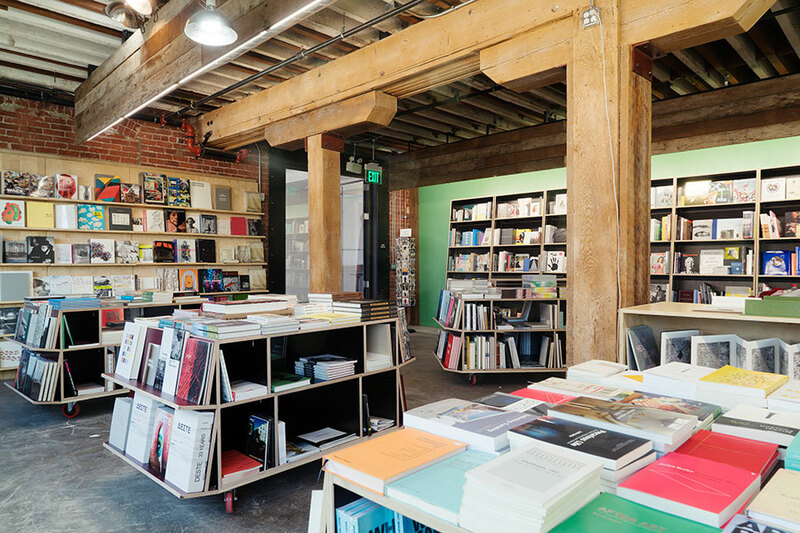 Designed by founder Skuta Helgason within Selldorf Architects’ and Creative Space’s larger complex, the newly dedicated ARTBOOK storefront in the Hauser Wirth & Schimmel building is bringing books to L.A.’s Arts District. 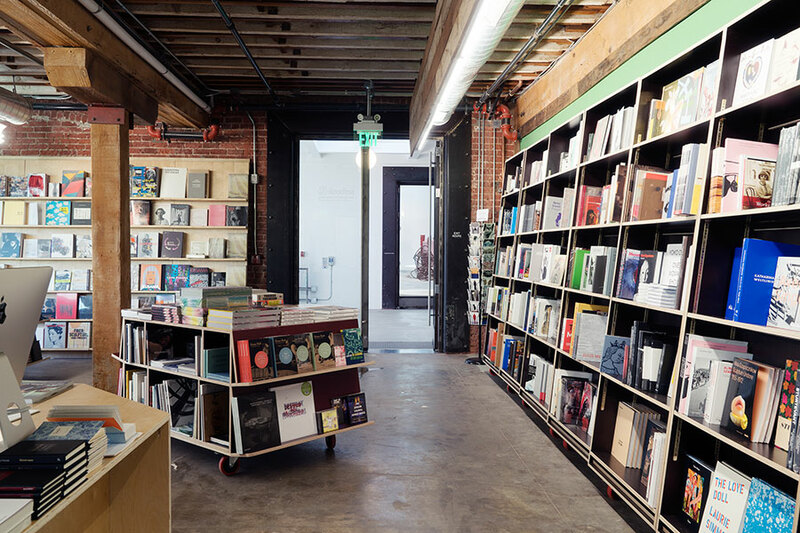 The bookshop, carved out from a warehouse space, features the detritus of historical artifacts in an otherwise spartan interior, giving the store simultaneous programmatic flexibility and rich texture. The hangar’s blue-gray stucco exterior downplays the treasures held within. Buff concrete walls along the street side are punctuated by large, metal-frame windows. A central line of refurbished heavy timber columns hold up overstructured wood framing, while piping and ducts crisscross the exposed ceiling with the mixed rigor and abandon only possible in adaptive reuse projects. A pair of perpendicular exposed-brick walls showcase embedded relieving arches, with contrast provided by new seafoam- and banana-colored walls holding blond wood bookshelves. A central kiosk contains a payment station as well as mounds of books. ARTBOOK’s extensive collection plans to change in conjunction with the exhibition schedule. Currently, the space is showing a sprawling survey of transgenerational feminist art, and that is reflected in the more than 500 monographs featuring woman artists on offer at the new store.